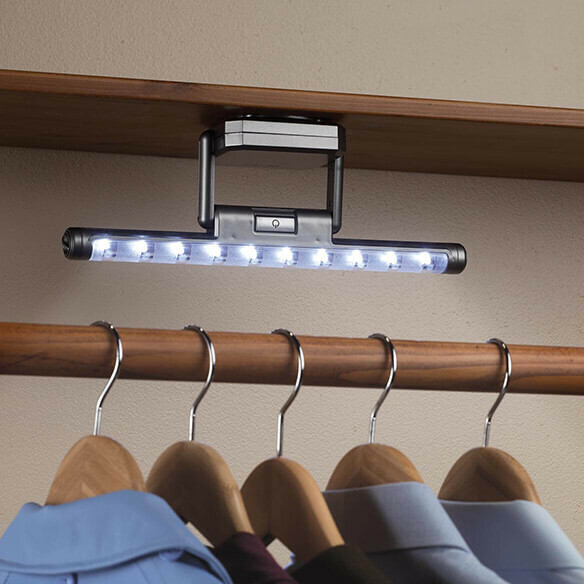 No switches, cords or wiring involved—this handy adjustable LED light is perfect for closets, pantries, stair landings, or any dark hallway with its 10 bright LED lights. 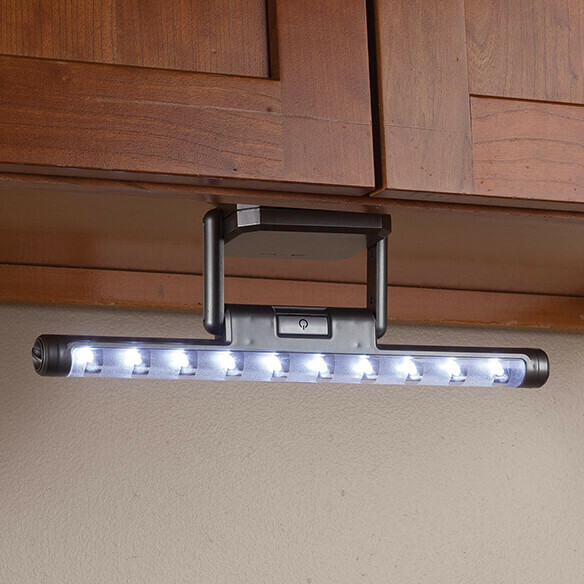 Adjustable arm lets you customize convenient light to suit your needs and space. Includes ceiling/wall mount. Uses 3 AA batteries (not included). 11 1/2"L; 4 1/8" drop. I used it the guest closet and I can see everything, before I couldn't see anything. Thanks to the extra lightning. I really need the light that these afford me. 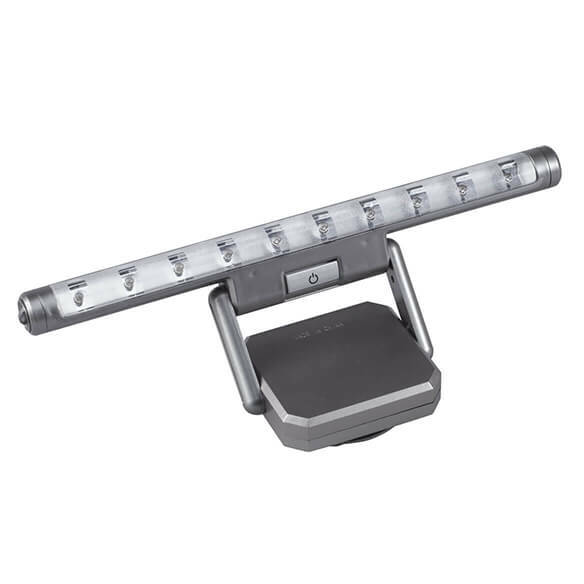 Because the lights and switch are on a swinging base, it moves when you want to turn it on & off! The Web site states this is a motion sensor light. That is the reason I bought it. The Web site has the wrong description. This is NOT a motion sensor light. You need to get the description right. To put it under my kitchen cabinets. None of my closets have good lighting and the hallway is dark so this will be wonderful. Will be great for under cabinet lights. Need extra light in my closet. Good deal, and seems I am always needing a light some place and I am needing some now. For my new kitchen and to have good low, pretty lights. Mu husband is loosing his eyesight due to diabetic retinopathy but wants to still do some cooking so hoping this will work for under the counter and shining down on the stove top. To put in the closet that doesn't have any lighting in it. MY SISTER DOESN'T HAVE A LIGHT UNDER HER CUPBOARDS AND THIS LOOKS LIKE IT WOULD BE PERFECT. PLUS THE PRICE IS RIGHT. So I can see in dark areas of house without a light fixture. How does it mount - double-sided sticky tape, or screw-in on an available surface with wood screws? Thanks for any info! BEST ANSWER: Thank you for your question. It is mounted by screws. We hope this information will be of help to you. Where do batteries go to make light work? BEST ANSWER: Thank you for your question. The battery compartment is at the lid under the power switch. We hope this information will be of help to you.